Options Required: Money, XP for doctors. We need so little. Unlimited staff, the maximum level of staff. Money is a smaller problem in the game. This is just my little contribution on this game (v1.0.14398 GOG) - I do not know at what level it will be useful (or useless) but here are some pretty fun scripts. Feel free to edit/improve them. It will be my only contribution because the game is pretty quickly updated and it is just not humanly possible for me to follow up the scheduled game updates. Last edited by fantomas on Sat Nov 10, 2018 10:34 pm, edited 1 time in total. "Unlock All Departments" and "Fast LVL Up" not activate. "Max Skills/Specializations makes some doctors skill 2100%, some -25%. CT has been reuploaded... please give it a shot. "Max Skills/Specializations" work fine. But "Unlock All Departments" and "Fast LVL Up" are still inactive. Maybe I need some special conditions? All the same, "Unlock All Departments" and "Fast LVL Up" are not activated. 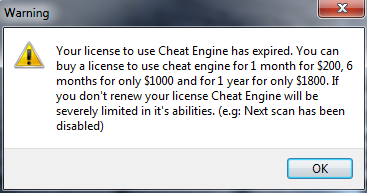 But "Fast LVL Up" crashes the game if I try to turn it on. EDIT: Just checked steam version and all scripts work as expected. Try to set up the debugger method on VEH Debugger, maybe it could help or update your CE version if you have an old one but sincerely I'm out of ideas. Cheat engine 6.8.1. Clean install and reset options. Run as administrator. Debugger method "use VEN debugger"
Steam version of the game v1.0.14398. "Unlock All Departments" and "Fast LVL Up" cannot be enabled. GOG version v1.0.14398. "Unlock All Departments" and "Fast LVL Up" cannot be enabled. All other scripts are enabled and working.